Red Cliff was located on a hill about 5 miles northeast of St. Johns, Newfoundland. 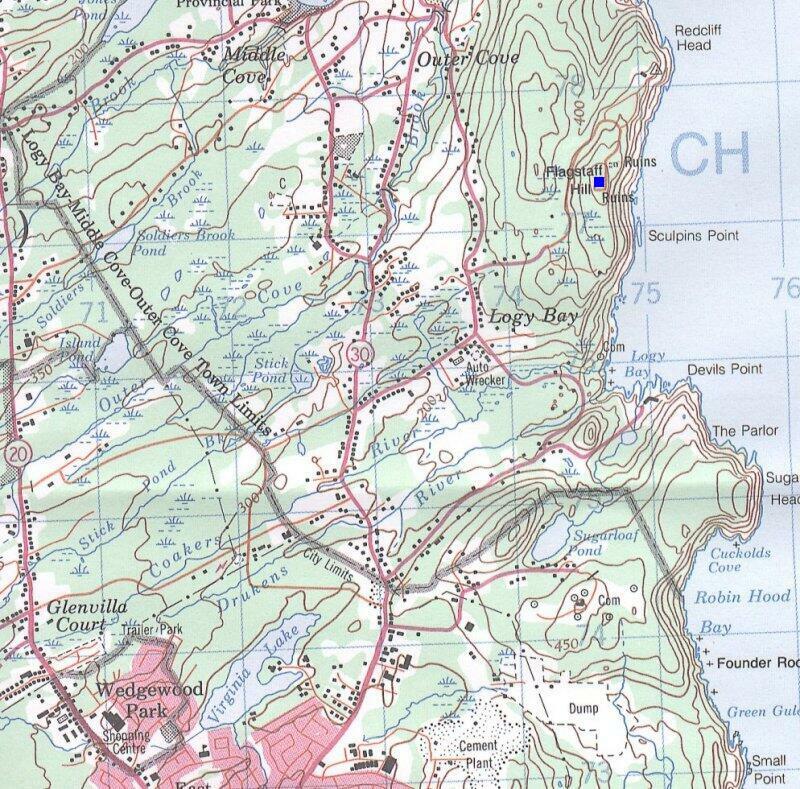 Present day maps identify the old Red Cliff radar site on Flagstaff Hill (select area map #4 above). 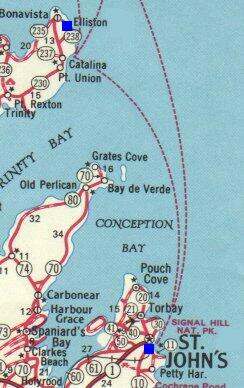 To reach the remains of the Red Cliff radar station, take the Logy Bay Road (Highway #30) north from St. Johns. There are two approaches to the remains of the Red Cliff radar station, and both are easy to follow. 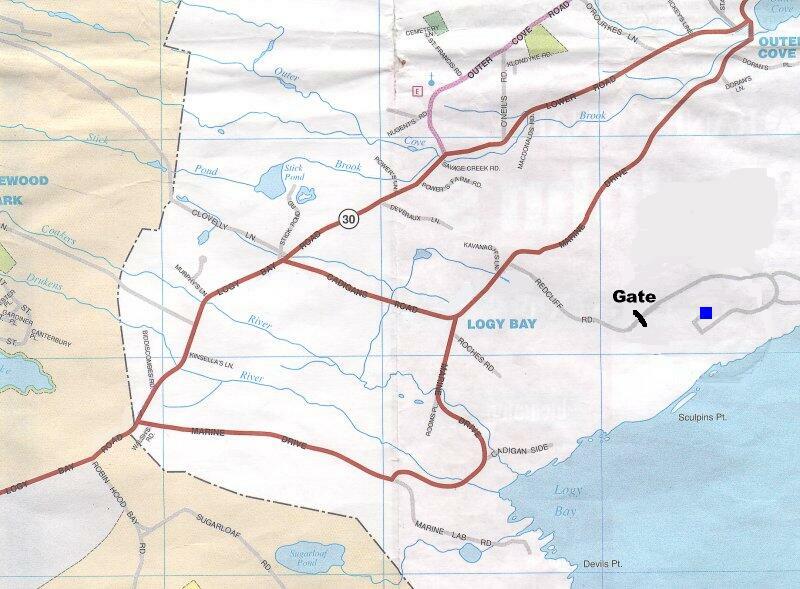 The first approach is to take the Logy Bay Road until you reach Cadigans Road. Make a right hand turn on Cadigans Road and continue driving until you reach Marine Drive. Make a left hand turn on Marine Drive and continue until you reach the Red Cliff Road intersection. 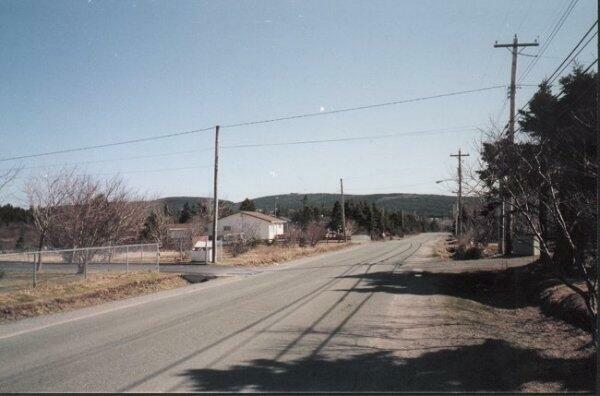 The second approach also has you leaving St. Johns on the Logy Bay Road (Highway #30) northbound. 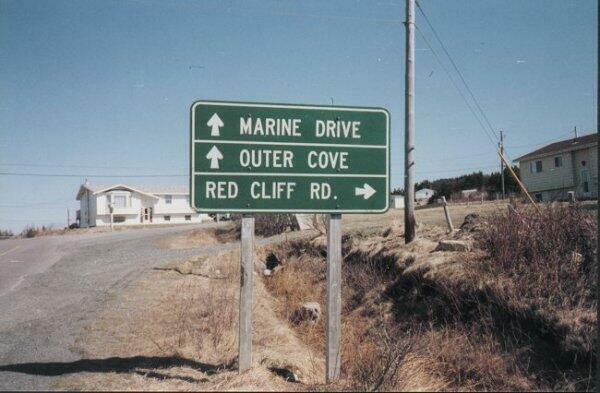 Make a right hand turn on Marine Drive and continue until you reach the Red Cliff Road. Both approaches will provide you with ample warning for the Red Cliff Road. Once you reach the Red Cliff Road, make a right hand turn and proceed up the hill. 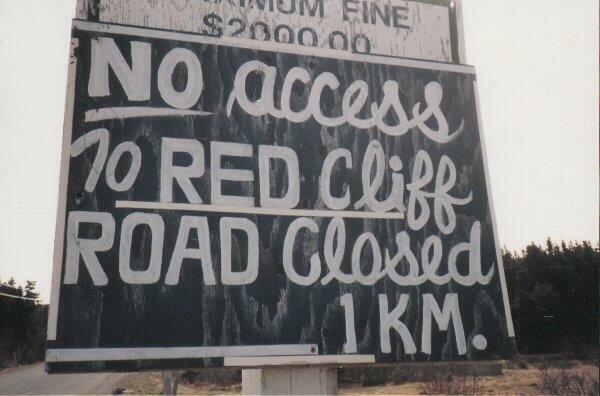 You will soon see a sign that reads No Access to Red Cliff. Road Closed. 1 Km. This sign is 1 Km from a gate which is locked, thereby stoping vehicle access at this point. It is interesting to note that there are houses along the Red Cliff Road right up to the gate. 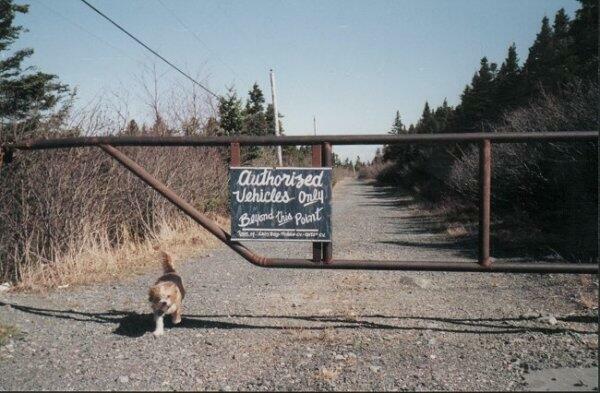 Park your vehicle in this area, and walk up the road that has the gate across it until you reach the remains of the Red Cliff radar station. It is about a 10 minute walk to the site from the gate. Map 3 is courtesy Ralph Howell. Used with permission. Map 4 is courtesy Ralph Howell. Used with permission.